ST. GEORGE — A St. George citizen was reportedly assaulted after following a man and woman who were allegedly in the process of committing vehicle burglaries in St. George late Monday night. One suspect was arrested while the second suspect fled on foot and remains at large Tuesday afternoon. Around 11:30 p.m. Monday, the St. George Communications Center, which serves as the 911 center for Washington County, began receiving several reports of vehicle burglaries in progress in the area of 900 South and 600 East, according to a probable cause statement filed by St. George Police in support of the arrest. 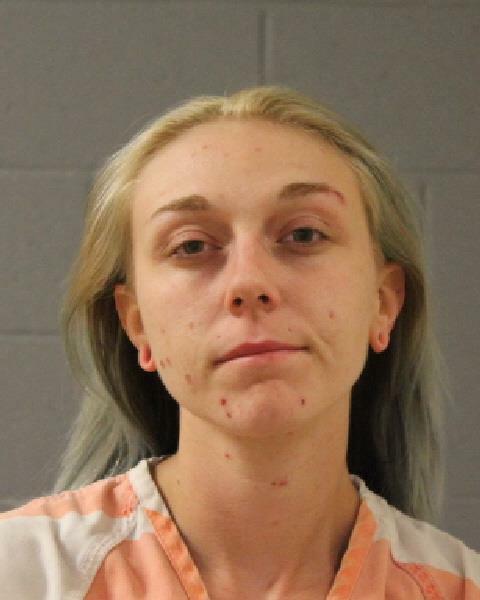 It was reported that a man – later identified as Landon Lane Cowley, 27, of Washington City – was breaking into cars and stealing property, while a woman identified as Alexandra Chance Baker, 21, of St. George, drove him to each location, the report states. The suspect exited the vehicle and fled on foot after assaulting the witness. Officers arrived on scene and spoke with Baker, who was still inside the vehicle. Upon searching the vehicle, authorities located a large quantity of items suspected to have been stolen from several different people – some of whom had been identified and some who had not, the report states. Also found inside the vehicle was a small bag containing various syringes and heroin, as well as a wallet containing various identification documents and two credit cards that had been reported stolen in other incidents, according to the statement. During a police interview, Baker told authorities that she and Cowley had used heroin “earlier in the evening” and “she was aware that Landon (Cowley) was going to steal property during the above-mentioned incidents to acquire money for heroin,” the officer wrote. Baker was arrested and booked into the Washington County Purgatory Correctional Facility. Police are still looking for Cowley, St. George Police Officer Lona Trombley confirmed at 4:01 p.m. Tuesday. Baker is scheduled to appear before 5th District Judge Michael Westfall Nov. 6 for her next court appearance.